FILE PHOTO: A general view of the Bushehr nuclear power plant, some 1,200 km (746 miles) south of Tehran October 26, 2010. WASHINGTON - President Donald Trump is likely to take a major step against the Iran nuclear deal in a speech on Friday, marking a more aggressive approach to Iranian activities in the Middle East that risks complicating U.S. relations with European allies. Trump is to lay out his plan in a 12:45 p.m. EDT speech at the White House, the product of weeks of internal discussions between him and his national security team. U.S. officials said Trump was expected to announce that he will not certify the 2015 Iran nuclear deal, which he has called the “worst deal ever” believing the agreement is not in the national interests of the United States. Trump has found himself under immense pressure as he considers de-certifying the deal, a move that would ignore warnings from inside and outside his administration that to do so would risk undermining U.S. credibility. He had certified it twice before but aides said he was reluctant to do so a third time. International inspectors say Iran is in compliance with the nuclear accord, but Trump says Tehran is in violation of the spirit of the agreement and has done nothing to rein in its ballistic missile program or its financial and military support for Hezbollah and other extremist groups. European allies are warning of a split with the United States over the nuclear agreement since they are benefiting economically from a relaxation of sanctions. A variety of European allies, including the leaders of Britain and France, have personally appealed to Trump to certify the nuclear accord for the sake of allied unity. “It’s imperative that Europe sticks together on this issue,” German Foreign Minister Sigmar Gabriel told the RND German newspaper group. McCaul said he expects Trump also to announce some kind of action against the Iranian Revolutionary Guard Corps. Trump is under a legal mandate to impose U.S. economic sanctions on the organization as a whole by Oct. 31 or waive them. U.S. sanctions could seriously hurt the IRGC as it controls large swaths of Iran’s economy. The group’s foreign paramilitary and espionage wing, the Quds Force, is under U.S. sanctions, as is the Quds Force commander, other officials and associated individuals and entities. Signed by the United States, Britain, France, Germany, Russia, China, the European Union and Iran, the deal lifted sanctions on Tehran in exchange for curbing its disputed nuclear program. European officials have categorically ruled out renegotiating the deal, but have said they share Trump’s concerns over Iran’s destabilizing influence in the Middle East. China has said it hopes the deal will stay intact and Russia has warned that a U.S. withdrawal from the deal would have negative consequences. The International Atomic Energy Agency concluded that Iran secretly researched a nuclear warhead until 2009, which Tehran denies. 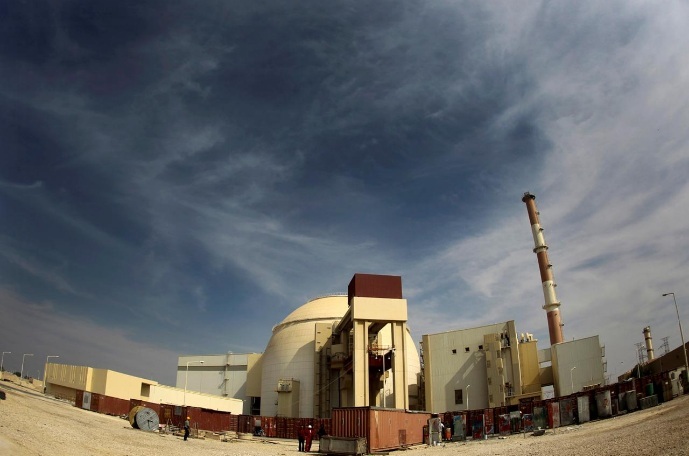 Iran has always insisted its nuclear program is for peaceful purposes and denies it has aimed to build an atomic bomb. The threat of new action from Washington has prompted a public display of unity from the rival factions among Iran’s rulers. Iran will react sharply to any U.S. move against the nuclear deal with global powers, Foreign Minister Mohammad Javad Zarif told the Iranian parliament on Wednesday. President Donald Trump is likely to take a major step against the Iran nuclear deal in a speech on Friday, marking a more aggressive approach to Iranian activities in the Middle East that risks complicating U.S. relations with European allies.